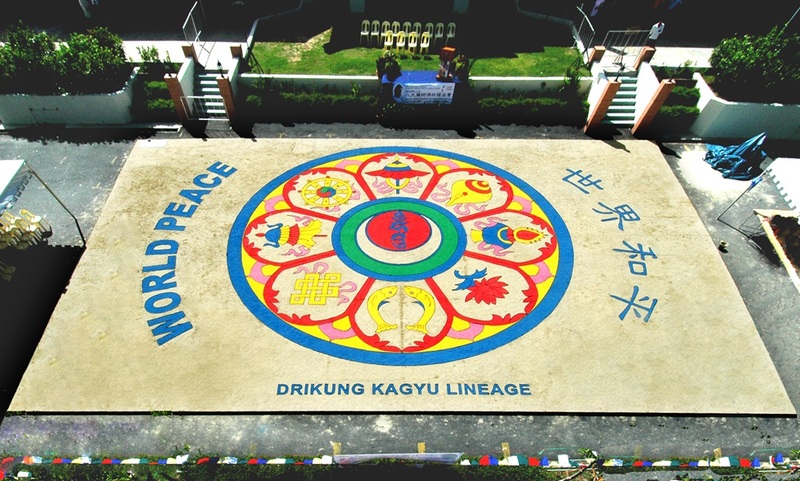 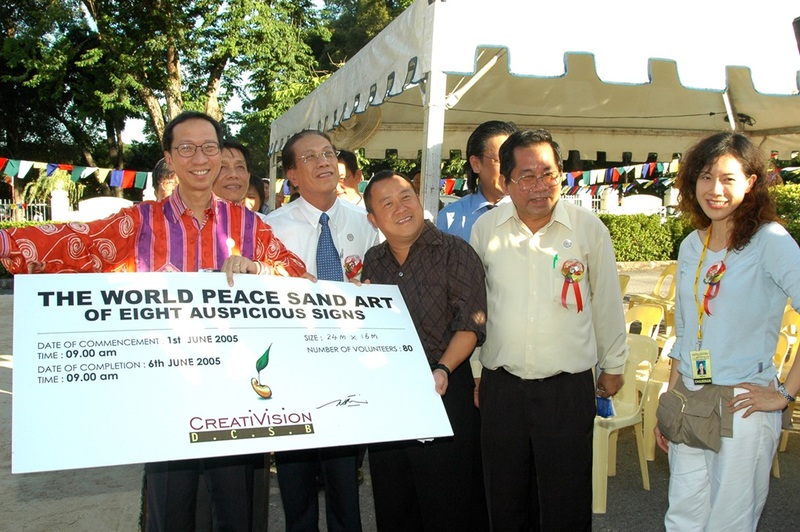 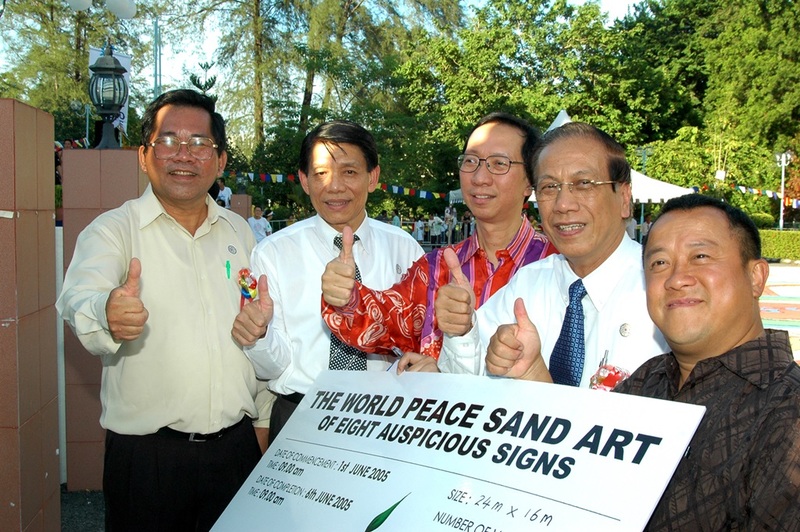 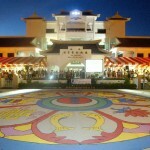 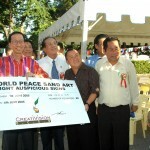 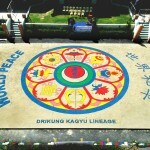 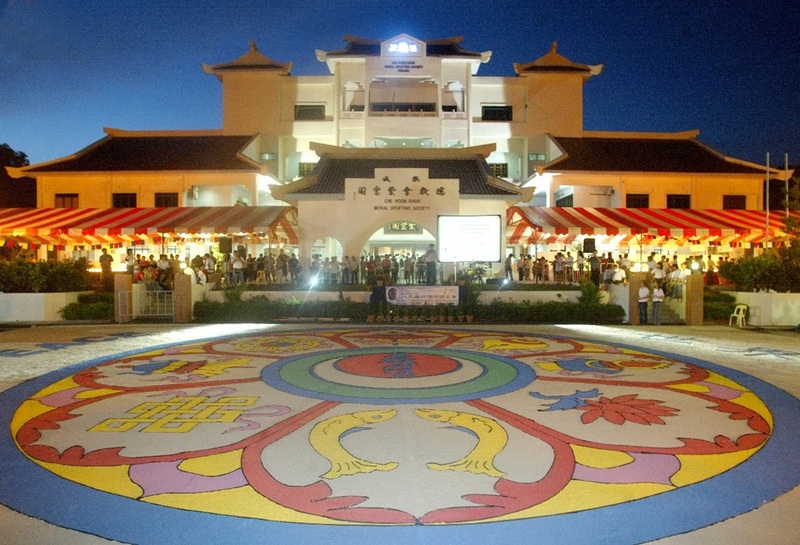 The World Peace Sand Art was designed by Adelyn Lim, the MD of CreatiVision Group. 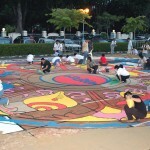 70 volunteers had spent 48hrs making the eight auspicious signs. 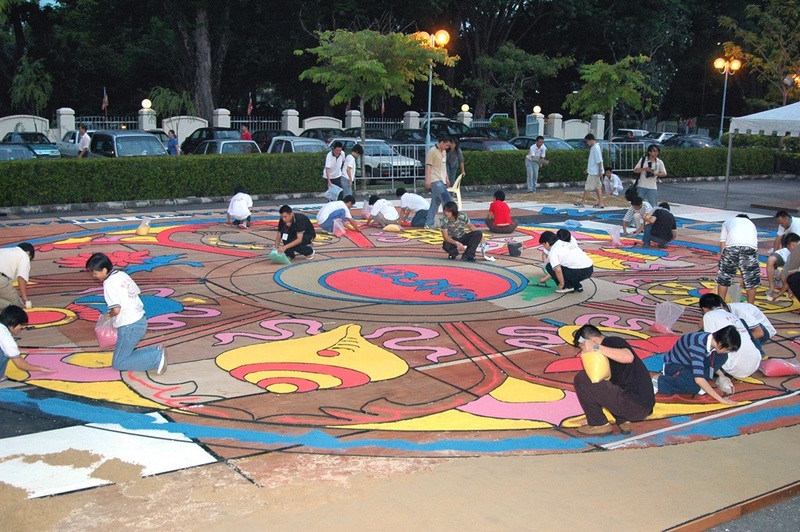 More than 10 tones of sands in six colors were used to build the 16m x 24m artwork (the size of 5 badminton courts). 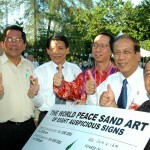 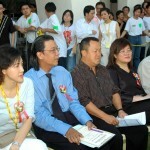 The project was held to inspire people to embrace compassion, respect life and to live in harmony.